Julie wants to be BEEEEAUTIFUL! She saves up all her money and uses it to buy some MMMMMAKEUP. 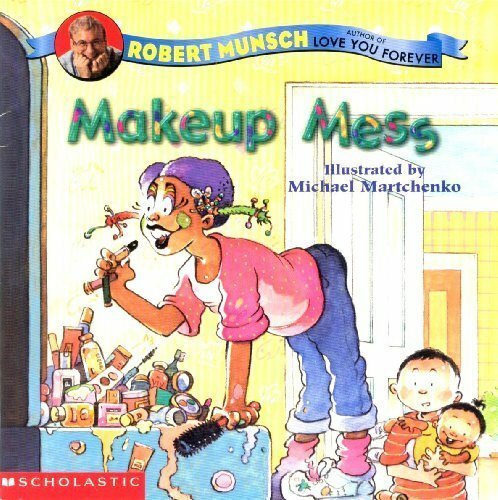 She puts red and purple stuff on her hair, green stuff on her cheeks, black stuff on her lips, and yellow stuff on her eyes. What she can't understand is why her parents won't appreciate her “beautiful” face! 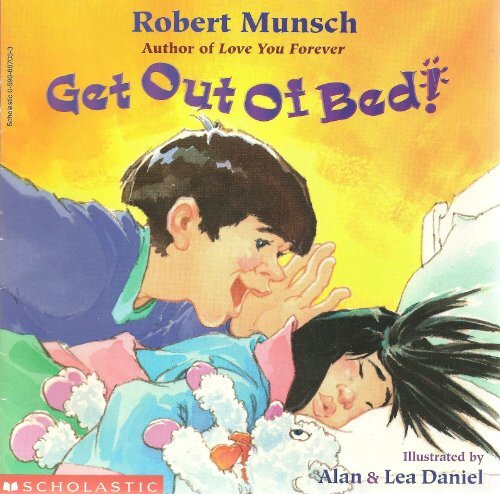 A hilarious story, read by Canada's greatest storyteller, Robert Munsch. The reusable, clear vinyl carrying case is designed with a separate pouch to hold the cassette for easy storage, and features a re- fastenable snap on the back for easy access. 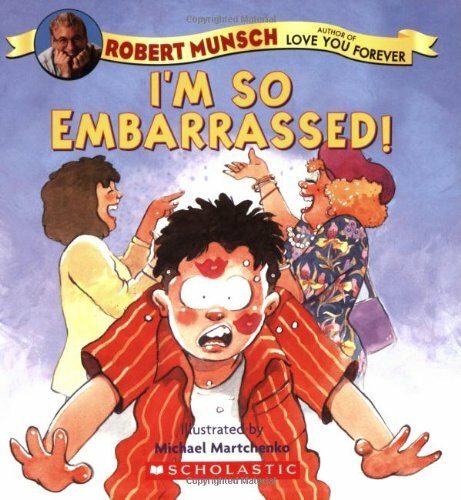 From Robert Munsch, storyteller extraordinaire and author of the runaway bestseller LOVE YOU FOREVER, comes this laugh-out-loud family tale! Andrew's mother always embarrasses him when they go to the mall. But Andrew needs new shoes, so there is no escape! This time is no different. Andrew's mom spits in her hand to smooth down his hair in front of everyone and shows his baby pictures to his teacher. But Andrew soon discovers he isn't alone. His friend Taylor-Jae has the same problem. Andrew and Taylor-Jae decide it's time for revenge! They announce to everyone in the mall that their mothers snore like bears and blame it on their dads. Now the mothers are the ones with red faces! 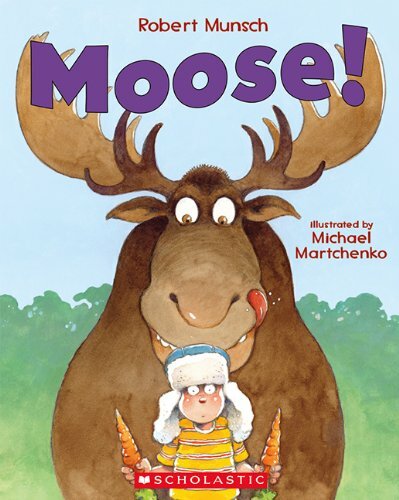 Munsch and Martchenko turn their creative attention on a moose -- with hilarious results! Luke gets up early one Saturday morning and finds a moose in the backyard. He wakes up his dad, and then his mom, and each declares that "moose never come on the farm" -- only to be surprised by the moose itself! Mom tries to shoo it away with a broom but the moose eats it. Dad tries to scare it away with a hose but the moose takes a nice bath. Luke feeds the moose carrots and decides to keep it in his treehouse, until his sister comes along, with a surprising solution to this unusual problem! Moose! was inspired by a young boy from Cape Breton Island. 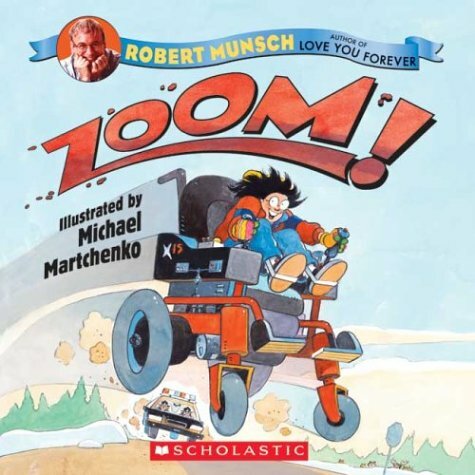 About the Author Robert Munsch is Canada's bestselling author of more than fifty picture books for young readers. His heartwarming and hilarious stories are beloved by children, parents, teachers and booksellers alike, and he was recently inducted into Canada's Walk of Fame. He lives in Guelph, Ontario. 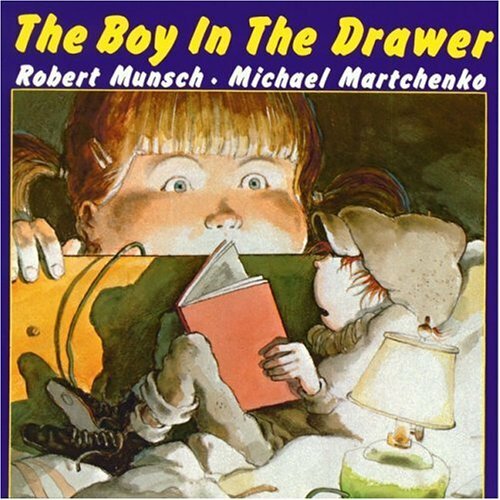 Michael Martchenko's illustrations are as instantly identifiable and lovable as Robert Munsch's stories. His wild and colourful pictures add depth and even more hilarity to these picture book tales. 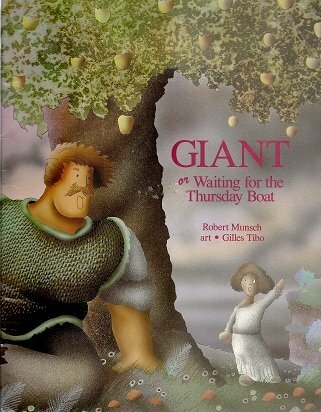 He received the CBA Children's Illustrator of the Year Libris Award in 2006. He lives in Toronto, Ontario. 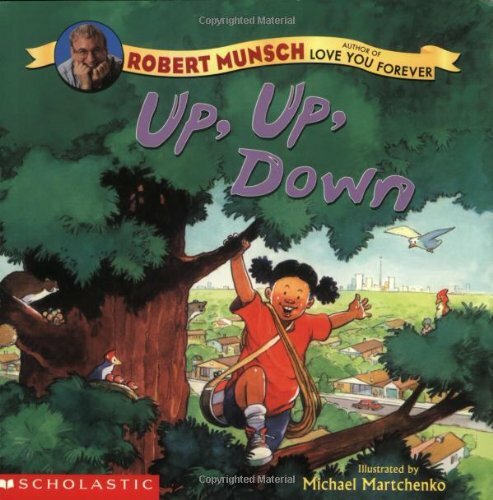 Best-selling author and illustrator Robert Munsch and Michael Martchenko team up to create this comical adventure about an energetic little girl named Anna who loves to climb! Anna ignores her mother's constant earning to "Be careful! Don't climb!," even after she falls down from scaling the refrigerator and the side of the house. One day, Anna manages to climb all the way up a palm tree, but the descent leaves her frantically hanging from a leaf. When her parents come to the rescue, the tables are quickly turned when her mother and father are the ones hanging from the tree instead! The book was an instant success and has since sold millions of copies in dozens of languages all over the world. To celebrate the 25th birthday of this modern classic, Annick presents the familiar story of The Paper Bag Princess along with more than 30 pages of never-before published behind-the-scenes features all presented in a new bigger format. 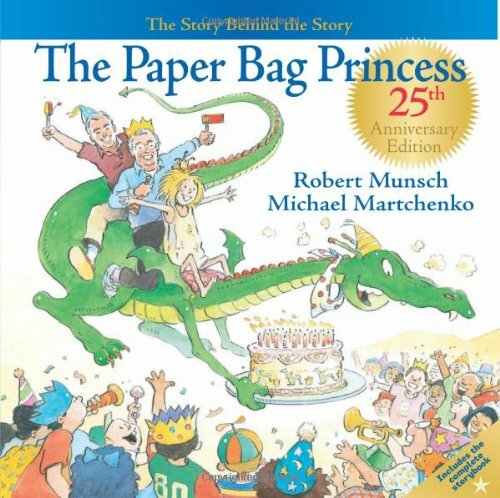 Jump into The Paper Bag Princess 25th Anniversary Edition and learn the story behind the story. 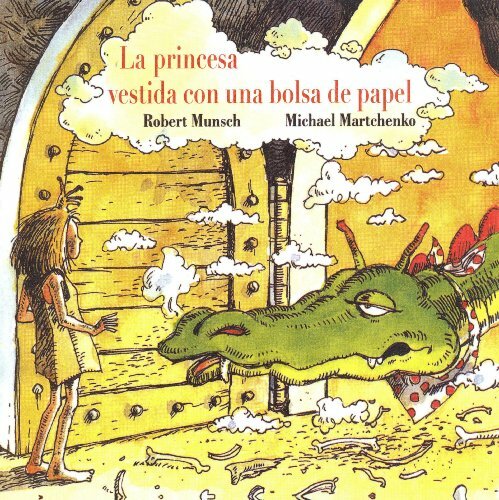 Discover how Munschonce on a path to becoming a priestbecame one of the most famous children's authors of all time. 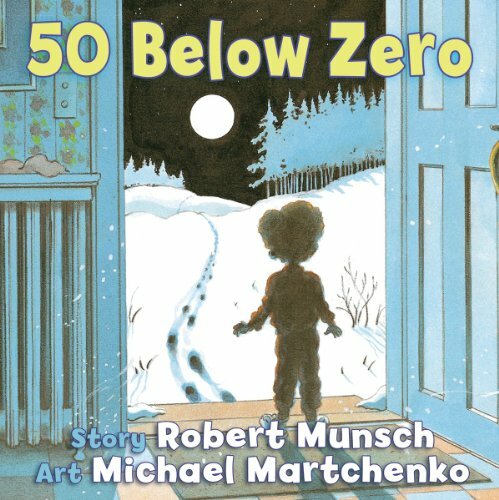 Learn how an extra space on a gallery wall landed Martchenko his first, and most legendary, children's book gig ever. Meet the real Elizabeth and see what she's up to today. You'll also find never-before published sketches and paintings that take you through the process of the book's creation. Further sections explore the book's critical success, international popularity, and responses from fans old and new, including some who'll surprise you. Whether you're a long-time admirer or only just discovering The Paper Bag Princess this very special edition is sure to capture your heart more than any flashy prince ever could. except in his own bed. All night long, Jason gets woken up by strange noises that lead him to find his dad in the most unexpected placesfrom on top of the refrigerator to the freezing cold woods outside his house. In order to finally get a good night's sleep, Jason musters up all of his resources and comes up with a most unexpected solutiontying his dad's toe to the bathroom doorknob to keep him in place. 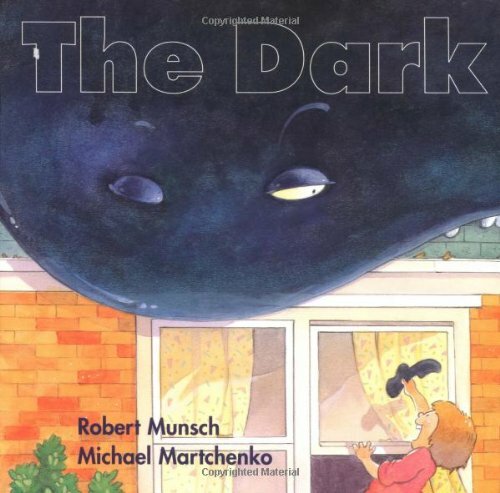 Now available as a simplified, toddler-friendly board book with revised art by Michael Martchenko, this story will delight young children discovering it for the first time. 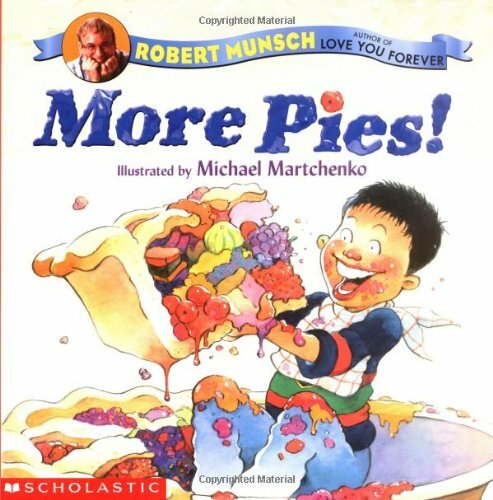 Best-selling author and illustrator Robert Munsch and Michael Martchenko team up once again to present this super silly story about a hungry little kid and a big pie-eating contest! One day little Samuel wakes up with a big appetite. After eating cereal, milkshakes, pancakes, and a fried chicken, he's still hungry--so he enters a pie-eating contest in the park. His competition? Three big men! The pies? One apple, two peach, and three cherry. And the winner? Samuel! But before he can show his Prize Pie to his mother, she proudly shows off the lovely pie that she's made him for lunch! Luckily, Samuel's younger brother turns out to have an even larger appetite than his sibling . . . and a love of pies, too! 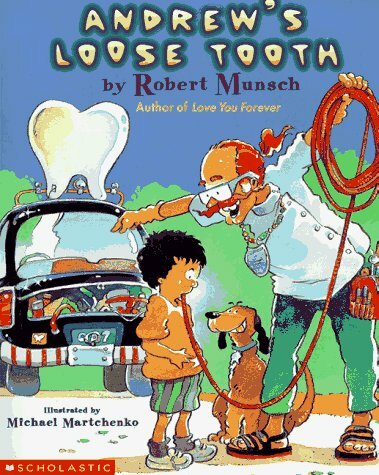 A risqué subject is just the recipe for Munsch's playful wit, which has readers rolling off their chairs. Full-colour throughout. 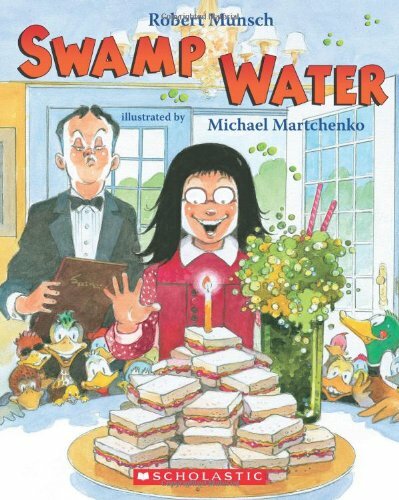 Best-selling author and illustrator team Robert Munsch and Michael Martchenko have created another winning tale brimming with humor and unexpected twists. Fresh out of clean clothes, Lacey must wear a previously shunned birthday gift from her grandma: a T-shirt that says, "Kiss Me, I'm Perfect." Skeptical about the reception she will receive, Lacey starts her journey to school...and is pleasantly surprised by the attention she receives from the kitty cat, dog, eagle, and MOOSE she meets along her way. Even better, once at school, her potentially embarrassing attire is soon coveted by her classmates! This ridiculously silly tale, filled with wet sloppy kisses, will leave readers in hysterics! 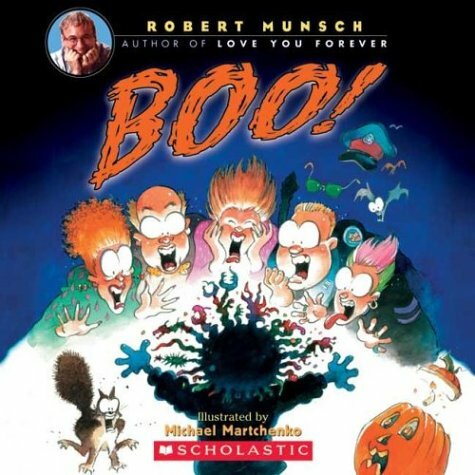 Best- selling team Robert Munsch and Michael Martchenko create another funny adventure about a boy named Lance, who finds an inventive way of getting more candy on Halloween. Lance loves dressing up for Halloween. This year, instead of wearing a store-bought mask, he paints his face very, very scary. When Lance goes trick-or-treating, his scary face spooks his neighbors so much that they fall over--leaving him all their candy! Lance uses his horrid face to steal more candy than he can carry. But in the end, he he has so much candy that he decides to share with his neighbors. 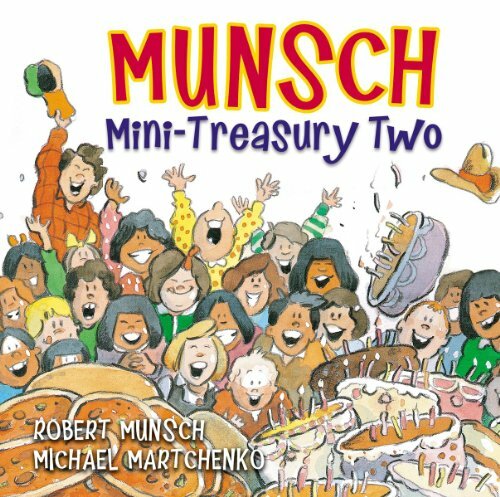 Now in paperback, here's another rollicking collaboration of Robert Munsch and Michael Martchenko. Young daredevil Lauretta puts her brand-new wheelchair to the ultimate test--and saves her brother! Lauretta's mother takes her to buy a new wheelchair, but Lauretta isn't satisfied with a regular five-speed or ten-speed model. No, she insists on the 92-speed, black, silver, and red dirt-bike wheelchair. When she gets a speeding ticket during a one-day tryout, her parents insist that the chair be returned to the store . . . until Lauretta's older brother has an accident and only one person can whisk him to the hospital on time--Lauretta, in her amazing wheelchair! It's the first day of kindergarten and Amanda and Jeremiah have a problem. They both want to read the same books. They want to paint with the same paints. And they refuse to share. The teacher tells them, "Look. This is kindergarten. In kindergarten we share. We share everything." Everything? Amanda and Jeremiah decide to take their teacher at her word. But what can they share? They begin by switching their shoes, and end up wearing each other's outfits! Now Jeremiah is wearing Amanda's pink shoes, pants and shirt and Amanda is wearing Jeremiah's clothes. Together they show their teacher that sharing really can be fun! 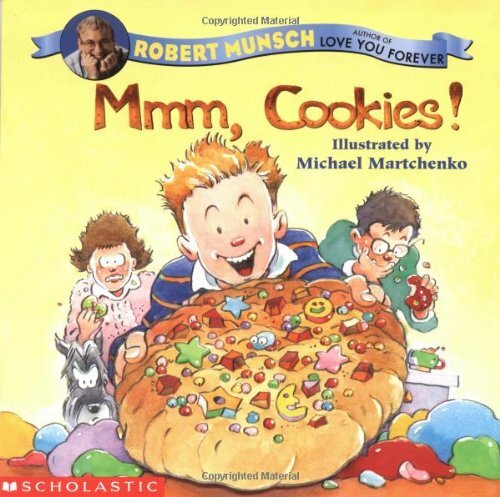 Best-selling author/illustrator duo Robert Munsch and Michael Martchenko create a wacky classroom story as Christopher offers some of his mysteriously "delicious" cookies to his parents and teacher! Christopher's playdough cookies may look delicious, but when he tricks his parents and teacher into eating them, they soon realize that these "cookies" are NOT what they seem! When they decide to give Christopher a taste of his own medicine, and he falls for his very own trick, the entire class is in for an hysterical adventure! With a playdough recipe included, here is yet another off-beat story from the author of bestseller LOVE YOU FOREVER, bound to have kids and cookie fans of all ages cheering for more. 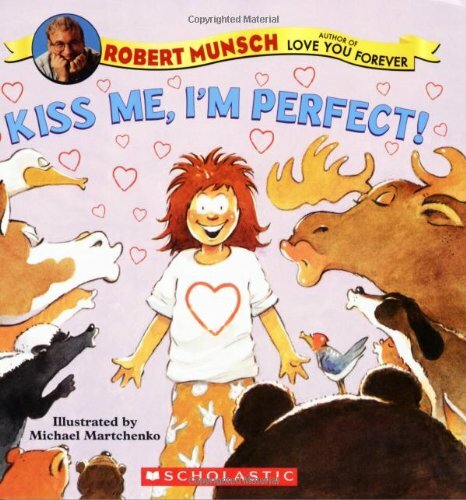 Each of these standard-sized books features five of Robert Munsch's best-loved stories. 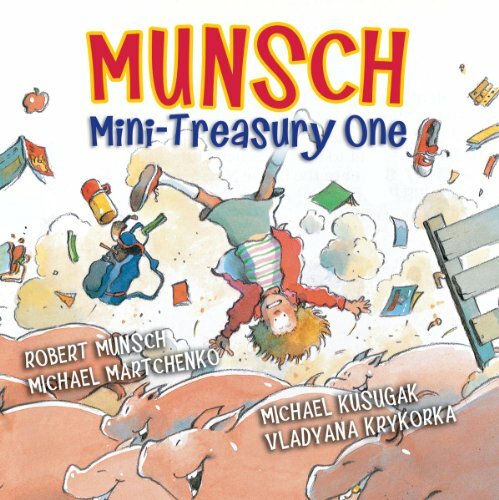 In Munsch Mini-Treasury Two, readers will find the original version of these classics:  Stephanie's Ponytail  The Fire Station  I Have to Go!  Moira's Birthday  Thomas' Snowsuit To add to the fun, each tale is preceded by a page entitled Where Did This Story Come From?” which describes the events and people that inspired each story. Accompanied by the lively, familiar artwork of Michael Martchenko, this new smaller treasury format is perfect for sharing anywhere, any time. 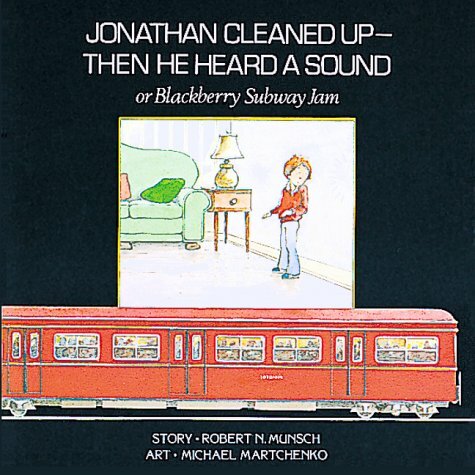 A subway stops in Jonathan's apartment, and out pour thousands of commuters and their litter. Annikins are mini books made especially for children -- small enough to fit into tiny hands and pockets. Each book measures 3 1/2" x 3 1/2" and contains full color pages. Individual titles available in quantities of 20s only. The popular storyteller and author of "Love You Forever" shares another funny family tale. 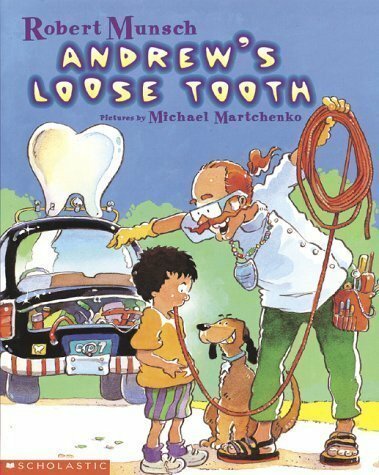 Not even the Tooth Fairy can help pull Andrew's loose tooth. But his friend Louis comes up with a special tooth-removing remedy that requires plenty of pepper and a great big sneeze! Full color. Shelley finds a small boy in her drawer who causes a lot of trouble. 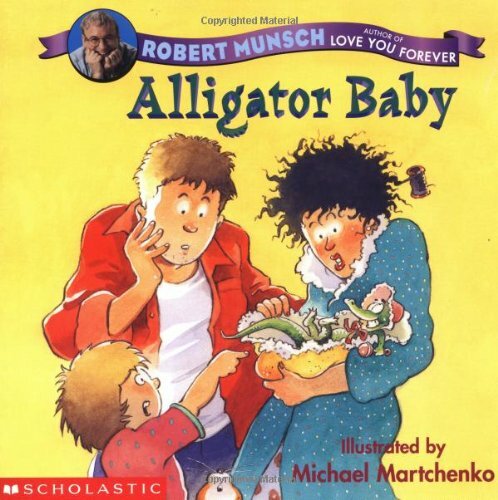 Robert Munsch's award-winning books have become a staple on the bookshelves of families worldwide. His stories reflect the joys and challenges of everyday living, offering zany, yet utterly normal, experiences of family life. 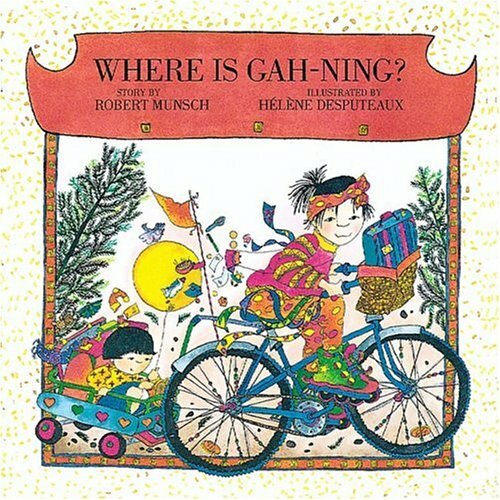 Munsch has sold over 40 million books in 20 countries and many languages, including French, Spanish, Arabic, and Chinese. 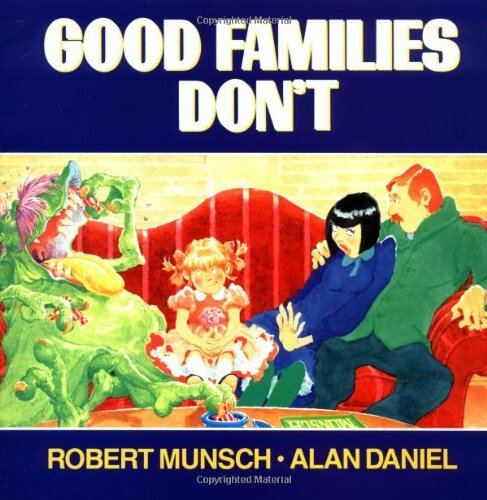 Beginning with Mud Puddle in 1979, Munsch continued captivating children and adults with stories like Thomas's Snowsuit, David's Father, I Have to Go!, and the classic Love You Forever. 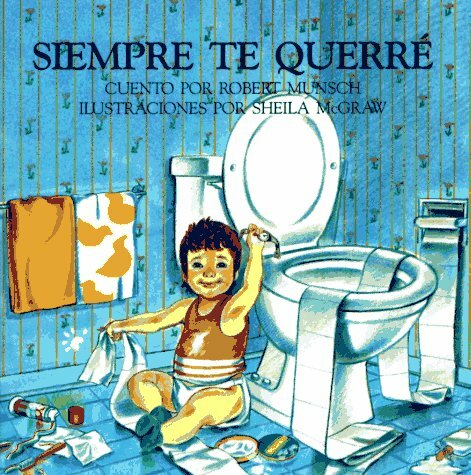 Each of these standard-sized books features five of Robert Munsch's best-loved stories. 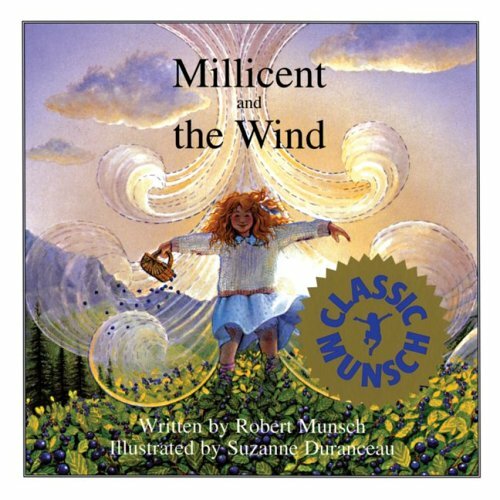 In Munsch Mini-Treasury One, readers will find the original version of these classics:  Angela's Airplane  The Paper Bag Princess  50 Below Zero  Pigs  A Promise is a Promise (co-authored with Michael Kusugak) To add to the fun, each tale is preceded by a page entitled Where Did This Story Come From?” which describes the events and people that inspired each story. Accompanied by the lively, familiar artwork of Michael Martchenko and Vladyana Krykorka, this new smaller treasury format is perfect for sharing anywhere, any time. 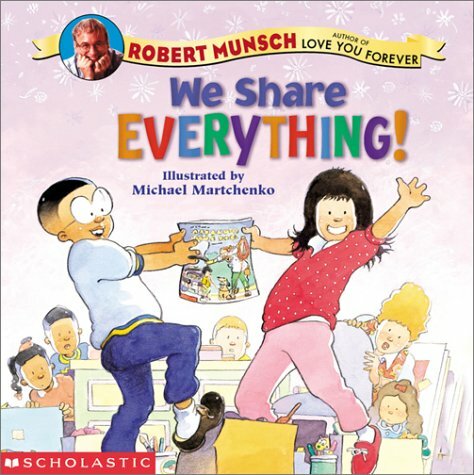 From Robert Munsch, storyteller extraordinaire and author of the runaway best-seller LOVE YOU FOREVER, comes this laugh-out-loud family tale! Kristen's parents just can't seem to do anything right. First they have their baby at the zoo, not in a hospital. Then, they accidentally bring home an baby alligator instead! After it bites everyone on the nose, they return to the zoo and come back with a baby seal! Kristen sees that she will have to solve this problem herself. She bikes to the zoo and finds their baby with . . . a gorilla mommy. When the baby bites the gorilla on the nose, Kristen sees her chance--and takes home her new baby brother!